So far in this little mini series we have looked at flexibility, measured it and then looked at ways to improve it. Now we are going to look at mobility. I have mentioned previously Movement Expert Gray Cook describes mobility as the ability to demonstrate flexibility under load. Basically do you still have a range of movement at a particular joint when it is asked to work. As we looked at Shoulders, Hips and Ankles for flexibility we are going to stick with them for stability. It is actually quite difficult to self test stability of the shoulder so what we are actually going to do is look at its function pattern during movement. The point being if it is dysfunctional in a basic movement pattern it needs work. Standing up, put one hand on the opposite shoulder. The free arm put out in front of you at shoulder height. Draw that arm back keeping it straight. If your upper shoulder muscle pops up under your hand you failed the test. Repeat on the other side. Lying on your back, feet flat on the floor, knees bent. Lift your hips into a bridge position. Put your hands on your hip bones and lift your elbows off the floor (no cheating). Engage your glutes and abdominals and lift one foot off the floor. Does either hip drop, or move around as you do this? You failed the test. Repeat on the other side. There are lots of different ways to look at ankle stability as there are ligaments going in all directions, and again it can be difficult to completely isolate without the use of a therapist. 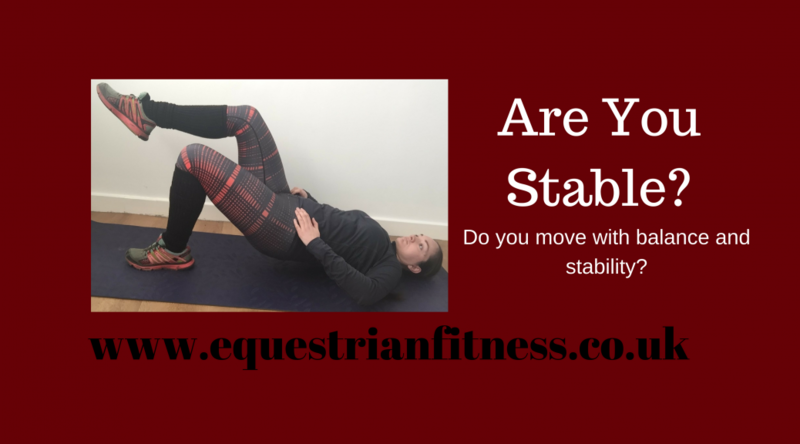 However I am going to keep this simple and fairly functional, however I should mention if you failed the hip stability test you are more than likely going to fail this one too and it may be due to your hips not ankles. However if your hips were ok and you fail this, it probably is your ankles. If you fail both you should work on improving both as they rely on each other very much for good movement patterns. Starting feet together stand on your tip toes . Now put on foot directly in front of the other and walk a few steps. Can you do it? I will leave you with those and next week we will look at fixing your weak spots. If you would like a full screening of your flexibility and stability, and a personalised programme to address any issues book in with me in the studio for a Biomechanics Assessment. Last week we tested your flexibility, so this week I want to give you some help on improving those areas you struggled with. First, your shoulders and upper back. Wall Angels works to encourage you to open your chest and really use your scapulars which in turn improves their mobility. Stand about 2-4 inches away from a wall and put your bottom and whole back and head flat against the wall. Start with your arms bent just below shoulder height. You should be able to feel your shoulder blades touching the wall-your aim is to be able to keep them touching the wall throughout this exercise. Start to raise your arms up the wall as if going to join your hands over your head, as soon as your scapula moves away from the wall go back down and start again. Build up to 2 x 10 reps.
Next up your hips. Now as we went though 3 different areas on the hips I have 3 different fixes depending on where you felt you needed work. So if you remember we looked at the front of the thigh first. Here is a stretch that has a basic and more advanced version depending on what level you are at. If your leg rolled in on the hip test you need to work on your inner thighs. Stat kneeling and take one leg out to the side as far as it with comfortably go. Put your hands out in front of you for support, and start to gently rock forward and back and then hold the stretch for 30-60 secs. If your leg rolled out you need to work on your outer thigh. Start lying on your back, knees bent, feet flat on the floor. Cross one ankle over the opposite knee. And then take hold of the leg underneath and lift it up. Hold for 30-60 seconds. And finally the ankles. Start kneeling and put one foot out in front of you and keep your chest low on top of the thigh. Keeping the heel of the front foot down use your body weight to press the thigh gently forward and back and then hold for 30-60 secs where you feel a stretch. You may need to experiment with the position of your foot. Get to work on these before we start looking at your stability next week! I still have space for 121 clients in the studio, so hit reply if you want help hitting your goals this year. After last week’s discussion about what “sitting better” actually entails let start with addressing your flexibility. We will look at some key areas and I will take you through some self-tests that you can do to find out where you maybe need to do some work. Remember these are just starting points, don’t be disheartened if you don’t get great results, I’m here to help you improve them. 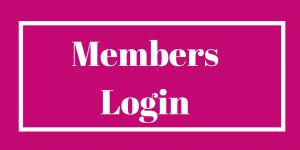 We just need an idea of where you are starting so that will be able to measure how much you have improved. Here goes then. Obviously this would be ideal if you could get a friend to help with the readings and take pictures but doing them alone is fine and just writing notes on how things felt etc. will be equally beneficial. Lying on your back, knees bent feet flat on the floor. Find your neutral spine and have your hands down by your side. Now raise one arm above your head whilst maintaining neutral spine. If you can touch the floor behind you-Great work you have excellent upper back and shoulder mobility. If your back begins to arch before you touch the floor then your upper back and shoulders need some work. You will need a sturdy table for this, or you could stack up some bales of hay or shavings. Anything that you can safely lie on without your feet touching the floor. A friend to help and validate the results is useful is possible but if not you will get a good idea of how you score on your own. Sit yourself with your seat bones on the edge of the table. Bring one knee into your chest and lie back with the other leg still hanging off the edge. There are three things to look for in this test. Is the hanging leg lifting off the table, staying level with the table or does the knee drop lower than the table? If it does not drop below the table your Psoas needs work. Is shin hanging less 90⁰? Hanging at 90⁰ or is it feely swinging past 90⁰? If it does not swing past 90⁰ your Quads require work. Is the thigh rolling in or out or has it stayed straight? If the thigh rolls in your adductors need work, if it rolls out your abductors need work. Stand about 10cm away from a wall. Feet flat on the floor. Bend one knee towards the wall keeping the heel down and ensuring that the ankle does not roll in or out. If you can touch the wall-Great you have excellent ankle mobility! If you were nowhere near the wall-You need some work on your ankle mobility! 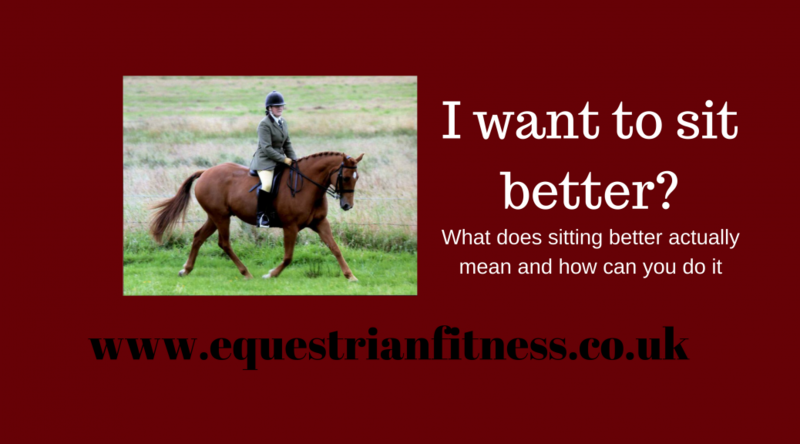 What does “I want to sit better” mean? I ask my clients and class members often what their riding goal is and very often the answer is “I want to sit better on my horse”. What does that even mean? Sit better how? Do you want to have better alignment –be sat up straight as the phrase goes? Or do you want to feel more stable in your seat, move around less in the saddle? Firstly, what is the ideal riding position? Well it is often described as being in a neutral spine, thighs at about a 45⁰ angle, heel parallel or lower with the vision of a straight line from the ear, shoulder, hip and heel. The elbows should be slightly forward, bent but relaxed. There should be equal weight and muscle tone through the body front to back and left to right. Ok got it, now get into that position and maintain it whilst on a moving animal…….. So, how do we first achieve this position and secondly how do we maintain it? In order to achieve it we must have adequate flexibility and movement in our spine, hips and ankles and to maintain it we must have stability throughout all of our joints but most notably our spine, shoulders, hips, knees and ankles. Flexibility and mobility are the foundations of our basic movement patterns however in order to do these patterns well we need the stability to support the structures as we move. I think most people are aware of what flexibility and mobility are. It is our range of motion at muscles and joints. However what is stability? It is certainly not stiff, restricted movement. There are several variations of the meaning of stability. The most relevant are. I think all of these are relevant when riding. Obviously riders need the strength to endure the force of the horse beneath them and they also need to be able to maintain their equilibrium (position/alignment) under constant disturbance. The Gray Cook definition I think can often be misunderstood. As flexibility does not necessarily mean doing the splits. The very act of sitting on a horse in neutral spine requires flexibility in the hips and spine. The ability to maintain this whilst enduring the force underneath from the horse is stability. 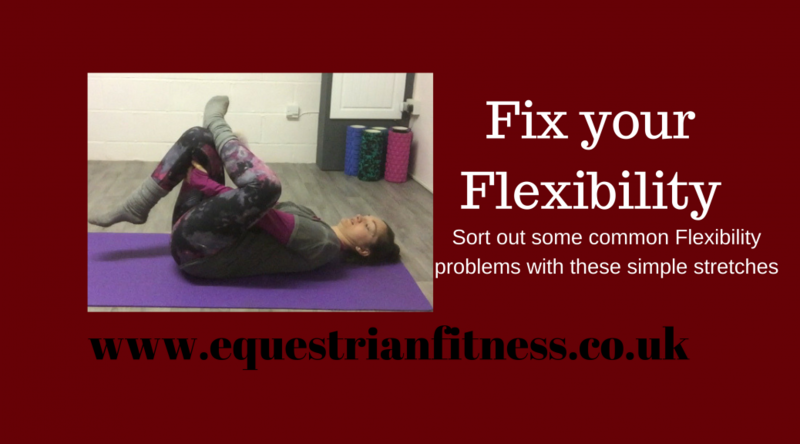 You may have incredibly flexible hips on the ground but once on a horse they feel tense, tight or wobbly-this is lack of stability not lack of flexibility. So, back to my original point. You say you want to sit better. I say you need to look at first your flexibility and then secondly your stability. 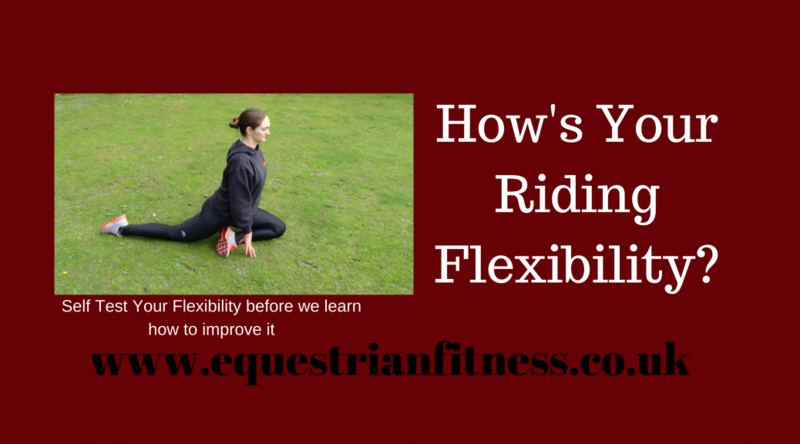 You must first have the flexibility to achieve the alignment and then once achieved the stability to maintain it on a horse. Tune in next week when we look at some self assessment flexibility tests. Just 4 spaces left for 1 2 1 training at the Studio so get in touch if you want some help to achieve your goals this year. I hope you had a great new year-or it may have been as un rock and roll as ours! I do love a new year in itself though. I love the idea of a fresh start, new beginnings and the expectation of where 2018 might take us. After suggesting you take some time to reflect on 2017 I hope you now have a clearer idea of where you want 2018 to take you and your horse. Of course nothing is ever guaranteed with horses but hey we can start with a positive attitude can’t we! Without wanting to stomp on your enthusiasm though I want you to really think about your goals this year and what it will take to achieve them. Let’s be honest if you are currently at Prelim it’s unlikely you will be at PSG by December but hey you could be at Novice or even Elementary by then so closer to that dream than you are right now. 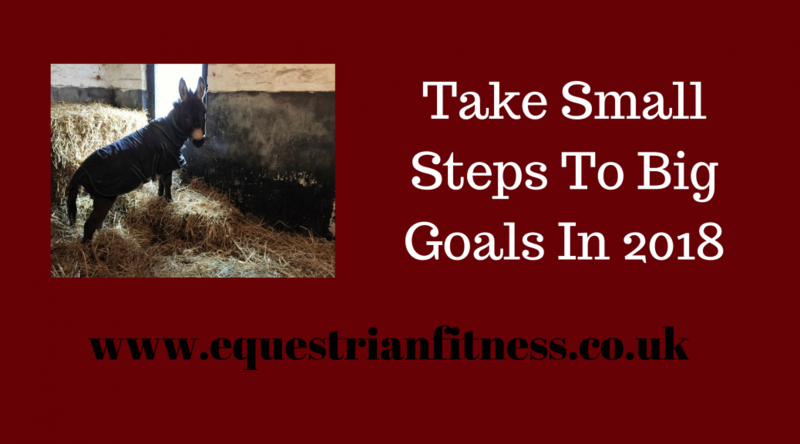 I like to work backwards making a plan of all the small steps along the way that I will need to complete to get me to the end goal. This way the goal doesn’t seem so big. For example I spent 2017 backing one of my ponies. Obviously the final goal being to be on board walking and trotting without help. I broke this down into the tiny steps from lunging without tack right up to tack on and then getting on, walking being led and so on. To be honest we are only just there by the skin of our teeth but we hit stumbling blocks along the way (we had nowhere to ride at all whilst the arena was built…..but I now have an arena!) so that slowed us down, but we have got there and I managed to stay focused because I could see all the milestones we had already hit on our journey and that made me positive we could hit the others. Even if we hadn’t got to riding independently we would still be much further on our journey from the not having even worn a bridle this time last year. In 2018 I want you to make a plan of small steps you can keep taking towards that goal this year and don’t be surprised if at the end of the year you have achieved big things! I would love to hear what your 2018 Goals are, hit reply and let me know what they are! PS: I am have space for just 5 1 2 1 Personal Training Clients at my studio this year, so if 2018 is the year you make yourself the best Equestrian Athlete you can be for your horse get in touch!